Some people—including, but not limited to, famous person Selena Gomez—swear by taking a shot of ginger in the morning. 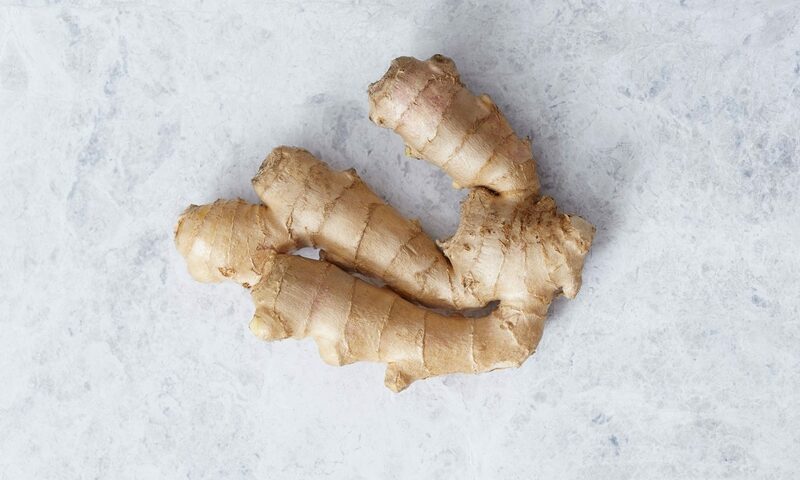 The reason that Gomez starts every day with a shot of this funky-looking root with a strong, pungent taste is simple: the health benefits of ginger. "It's killing everything inside," Gomez explained to James Corden in a "Carpool Karaoke" segment. "All of the bad things." Unfortunately for Gomez, that's not exactly how ginger works—but there are some real health benefits of ginger that you can benefit from, too, even if you're not a pop star. Ginger can be good for you even if you don't feel nauseous, though. "Ginger has pronounced anti-inflammatory effects once its pungent constituents are absorbed into the bloodstream, and is used for chronic inflammatory conditions like arthritis," explains Mase. And according to Singletary, ginger has been used as an herbal medicinal product to treat the symptoms of arthritis for years, and the herb can be used by those who suffer from joint inflammation or muscle pain. Mase notes that essential ginger oil is "one of the best warming, relaxing, anti-inflammatory treatments for muscle pain and soreness, especially in the winter," but warns to only use 5 to 10 drops diluted with another oil like grapeseed or almond. This herb is also an antioxidant, which, according to a definition from the National Institutes of Health is a "man-made or natural substances that may prevent or delay some types of cell damage." Don't get too excited about that one, though. Even though ginger's antioxidizing effects have been observed in lab settings, Dr. Singletary notes, "it is not known whether ginger antioxidant constituents are bioavailable in humans once ingested." And as for Gomez's claim that ginger is "killing everything inside"? Ginger does have antimicrobial properties, meaning it can suppress the growth of bacteria; in clinical studies, ginger has stalled the growth of foodborne pathogens like E. coli and Staph. Scientists like Dr. Singletary are excited about the possibility that ginger can be used to fight particularly nasty gastrointestinal infections but more research needs to be done, but there's no real consistent evidence that ginger can ward off viruses like flu or the common cold. However, ginger's warming properties can help allieve some of the symptoms of the common cold, says Mase, adding that ginger can also "enhance circulation and help with cold hands [or] feet." The only thing left to get over is the strong taste of ginger, which some people love and others hate. The good news is that if you're just looking for something that'll help with nausea, ginger candies or crystallized ginger are fine. "But the candies are less effective anti-inflammatories compared to tea, capsule, or extract," explains Mase. Though it seems counterintuitive, "Fresh ginger is a bit milder and more moist than dry, which is much more biting," he says, adding, "Fresh grated ginger is ideal for tea, though dry will work too—at a quarter of the dose!" Or you could take a straight shot of ginger, just like Gomez, and call it a day.